Land Size 2,522m2. 90m off street 598, Large open land, includes Villa, Storage Sheds, Office, Security hut. Suitable for Manufacturing, Commercial freezer 60 m3, Fully fenced. 3 Phase Power. 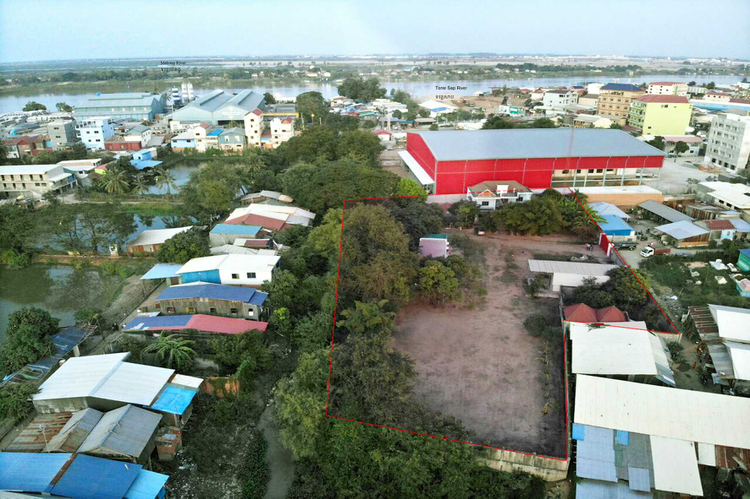 Close to National Road 5, Grand Phnom Penh, Aeon II Mall.